Why our Negative-Air System is Important to Westside Environmental? Westside Environmental is one of the greenest material recovery facility in NJ. We processes thousands of pounds of recycled materials every month. Chief among these materials is contaminated soil. When we clean the soil and remove toxins, chemicals, carcinogens, petroleum, and other harmful elements, we need to make sure we aren’t releasing these into our air. Cleaning the soil is a process called soil remediation and it has to be done very carefully to avoid any harm to the environment. 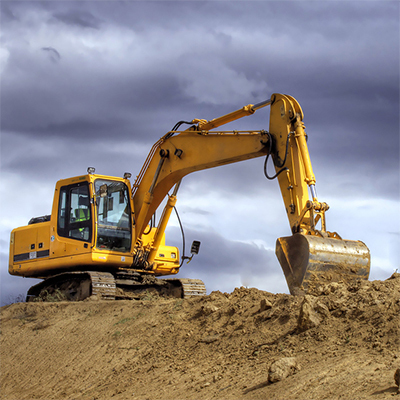 When we clean contaminated soil from a brownfield, harmful materials are released into the air. Westside Environmental is unique when it comes to cleaning soil. We also clean the contaminated air by-product of the soil cleaning process. To do this, we use the same system employed by hospitals to keep operating rooms clean, we use a negative-air system that purifies any air. So, when we clean soil, all the air is purified before it is released back into the environment. We don’t just recycle because it’s fun, we do it because we believe in the future of our planet. Cleaning the soil but polluting the air just doesn’t make sense to us. We are committed to this air purification system because it’s what the planet deserves, it’s what New Jersey deserves, and it’s what you deserve. Check out more information about our recycling center and our negative-air purification system on Twitter, Facebook, or Google+. Click here if you want to learn how Westside Environmental is helping New Jersey construction crews go green. Tweet us at @WestsideEnviro. This entry was posted in construction, Construction Waste Management, Contaminated Soil, Going Green, LEED, recycling, Trucking, Waste and tagged construction, contaminated soil, eco, going green, petroleum contaminated soil, recycle, Recycled aggregate, recycling. Bookmark the permalink. ← What is a Material Recovery Facility?